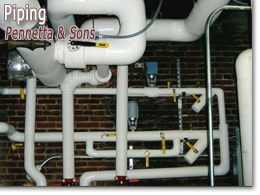 Mechanical Contractors serving the New Jersey area with piping for over thirty years. However big or small the piping job, we can do it all from start to finish! 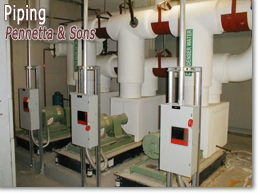 We install, service and repair piping used for chilled water, hot water, oil, gas and steam. 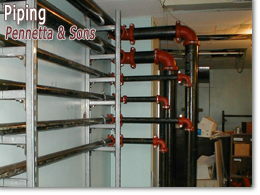 We also provide an expert service for chemical piping and pneumatic piping. We have the necessary experience and know-how to install, service and repair all types of piping material, including steel, galvanized, stainless, copper, pvc, plastic and aluminum piping. We also have the necessary expertise to deal with all piping styles, including threaded, welded, grooved, flanged, brazed, soldered, fused and compression piping.